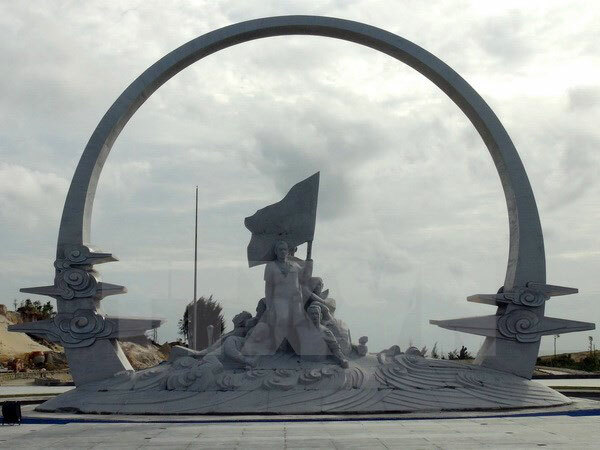 The first-phase construction of a memorial site dedicated to 64 navy soldiers who laid down their lives while protecting Gac Ma island in Vietnam’s Truong Sa (Spratly) archipelago on March 14, 1988, is scheduled for completion in March. On January 18, a delegation from the Vietnam General Confederation of Labour (VGCL) visited the construction site to examine the work progress and the major statue. The statue depicts the image of the soldiers holding each other’s hands to form a circle that symbolises their immortal fight for the country’s sovereignty. The examiners said the statue meets the set criteria in terms of art and materials, but need a few changes to make it more soulful. The Gac Ma memorial site spans on an area of 2.5 hectares with construction beginning in March 2015. The building cost is sourced from donations by trade unions and employees nationwide to the VGCL’s “Love for Hoang Sa-Truong Sa” programme initiated in March 2014./.